This sweet and spicy satay sauce is ready to heat-and-eat, a delicious dipping sauce for traditional satay, or a simple recipe addition. 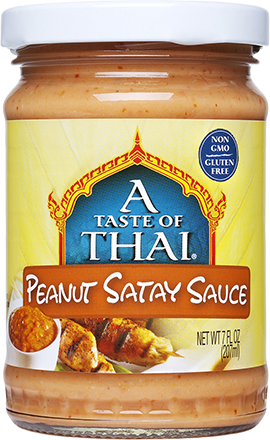 Now you can make traditional Thai Peanut Sauce at home! 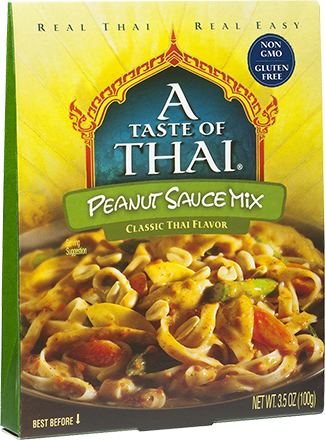 Simply add Coconut Milk and create anything from a cooking sauce to a complete meal. 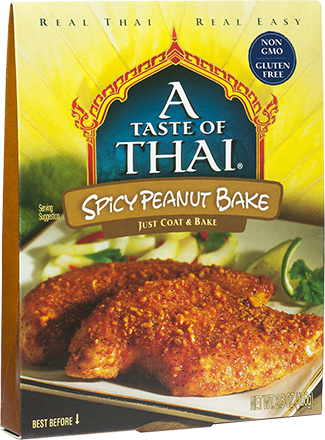 This Thai peanut coating will add just the right touch to your dinner! We love it with chicken, but it's good with pork and fish too.